Remaking Scarface is a tall order, given that the original and especially the 1983 reimagining were both widely celebrated, formative works in the gangster genre. If you’re going to commit to the project anyway, however, you could do worse than having the Coen brothers polish your script. 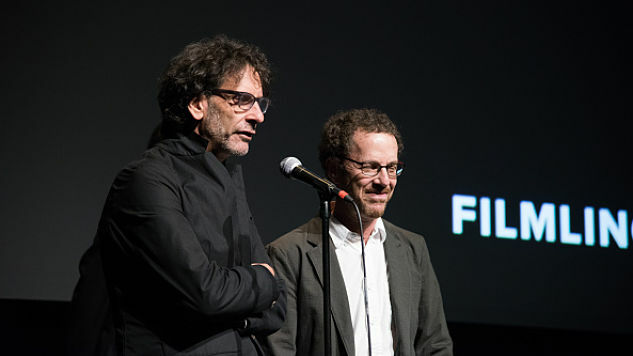 According to Variety, contemporary cinema’s foremost dynamic duo have been hired to touch up the screenplay of the forthcoming remake, a job that would be the third time the Coens’ have been brought in to dot the i’s and cross the t’s on a major script (the first two were for Angelina Jolie’s Unbroken and Steven Spielberg’s Bridge of Spies). The Coens’ popularity as de facto script editors makes sense, given the obvious knack the brothers have for screenwriting. Pick any one of their films out of a hat and, chances are, you’ll have a movie marked by idiosyncratic dialogue, surprising plot maneuvers, and unexpected jolts of both humor and pathos. Just look at Barton Fink, Fargo, The Big Lebowski, No Country For Old Men and A Serious Man, among many others. If the opportunity came along for your draft to be read by these guys, you’d be a dolt not to take it. As an added plus for the Scarface remake, the Coens have experience helming gangster cinema in the form of Miller’s Crossing, so the brothers’ involvement in the new project seems doubly promising. Little else is known about the forthcoming film at the moment, aside from Diego Luna’s attachment to the Tony Montana role and the fact that Boardwalk Empire’s Terence Winter wrote the script’s current draft. Stay tuned for any updates.